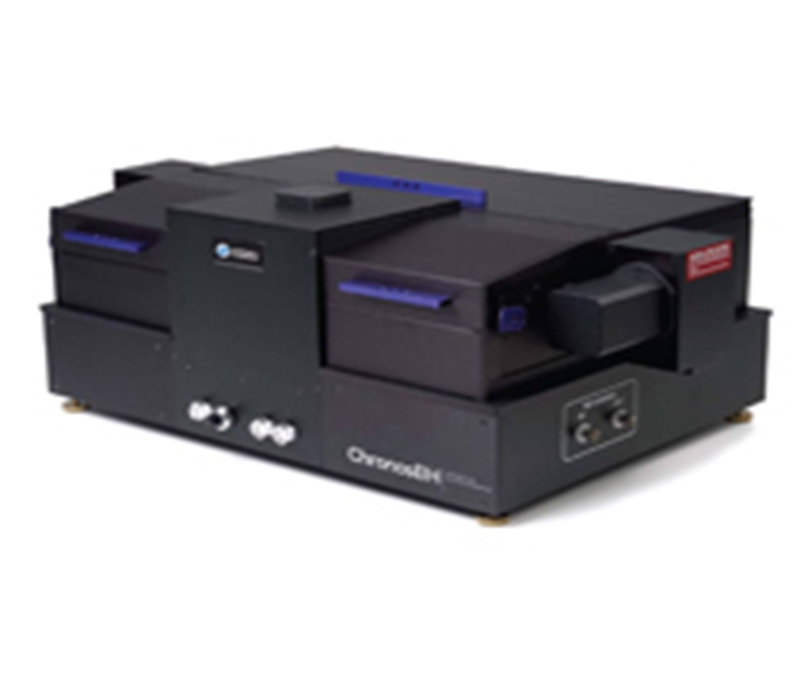 ISS offers a complete line of spectrofluorometers for steady-state and time-resolved fluorescence applications, time-resolved confocal microscopy, lifetime imaging and fluorescence correlation spectroscopy. Several components allow the user to assemble a custom-built spectrofluorometer tailored to specific applications. An extensive line of fluorescence accessories that can also be used in other commercial spectrofluorometers complements the ISS spectrofluorometers. ISS technology combined with Becker & Hickl electronics for precise TCSPC measurements with a variety of pulsed light sources. 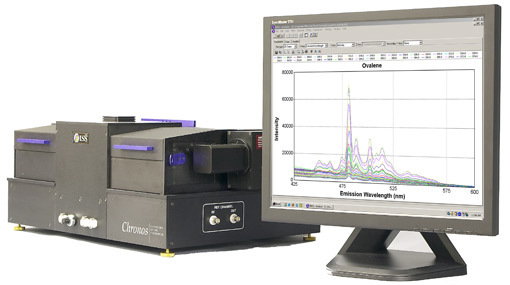 ChronosBH™ is a fully-automated, user-friendly, time-domain instrument with picosecond resolution based on laser diodes and other pulsed light sources such as white, continuous wave and Ti:Sapphire lasers. The optical design and instrument control of ChronosBH™ are state-of-the-art, and it includes Vinci, a powerful, Windows-based software package. The ISS Chronos is the first, frequency-domain fluorescence lifetime instrument based on the use of laser diodes and light emitting diodes (LED) as excitation sources. This powerful tool provides all the benefits of a full lifetime fluorometer at an affordable price. The ISS Chronos has been enhanced for those users operating at standard wavelengths of excitation typically at a set region. The Chronos is a fully-automated instrument using a Windows based software program and can be upgraded to steady-state acquisition. The K2 family of Multifrequency Cross-Correlation Phase and Modulation Fluorometers introduces a new approach to fluorescence and phosphorescence instrumentation for the research laboratory. Its optical design and automatic instrument control are state-of-the-art for steady-state and dynamic fluorescence measurements. Its full automation and user friendly software make the instrument easy to use for both the student and the scientist. 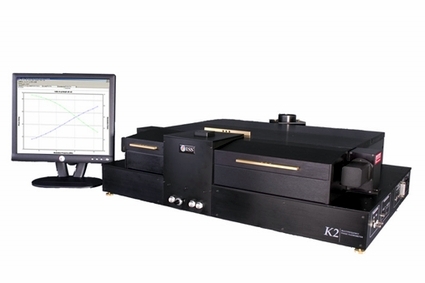 The K2 operates as a steady-state fluorometer for the measurement and analysis of excitation, emission, and polarization (anisotropy) spectra; for synchronous luminescence spectra; and for kinetics studies. The K2 is a multifrequency cross-correlation phase and modulation fluorometer for decay times determinations with picosecond resolution; for the measurement of rotational correlation times of molecules; phase and modulation resolved spectra; and for phase and modulation resolved kinetics lifetime. The instrument operates at a fixed 40 Hz cross-correlation frequency and it is capable of modulation frequencies up to 350 MHz. The cross-correlation is user-selectable up to 5000 Hz and data acquisition is performed through a FFT routine; the instrument covers the modulation frequency range from 300 KHz up to 350 MHz with a lamp and up to 450 MHz using a cw laser. The FastScan is our most popular model: lifetime data acquisition on a routine sample can be acquired in less than one minute using either a lamp or a laser. This model requires a mode-locked laser as excitation source and a microchannel plate detector (MCP-PMT) for the collection of fluorescence. Alternatively, a laser diode can be utilized as the light source up to about 900 MHz. The cross-correlation is user-selectable up to 5000 Hz and data acquisition is performed through a FFT routine. It includes the FastScan upgrade and operates at modulation frequency up to 1.2 GHz. The K2-005 is an upgrade of the K2-004: it operates in the frequency range up to 6 GHz. The unique feature of K2-006, is the capability to work up to 10 GHz modulation frequency. It requires a mode-locked laser as the excitation source and a MCP-PMT as the light detector. The signal is detected using the super-heterodyning technique: the detected fluorescence signal is first scaled down to an intermediate frequency which, in turn, is heterodyned to the cross-correlation frequency.